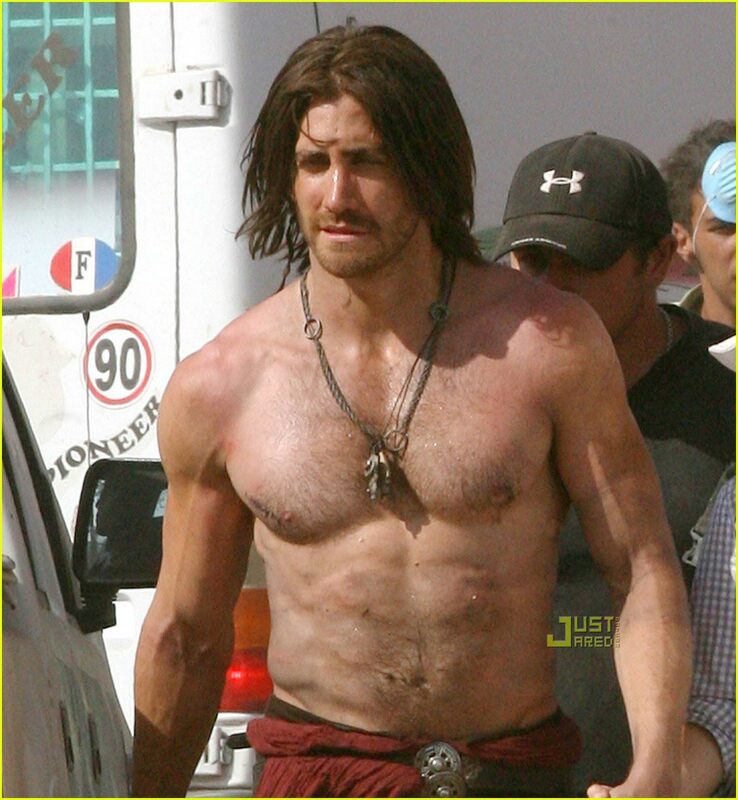 Remembered better for his character in “Donny Darko”, loved for his acting in “Jarhead”, but loathed by the envious for his abilities in “Prince of Persia”, Jake Gyllenhaal has taken the world by storm with his performances and the upward road of “Iconicism”. Enjoy. 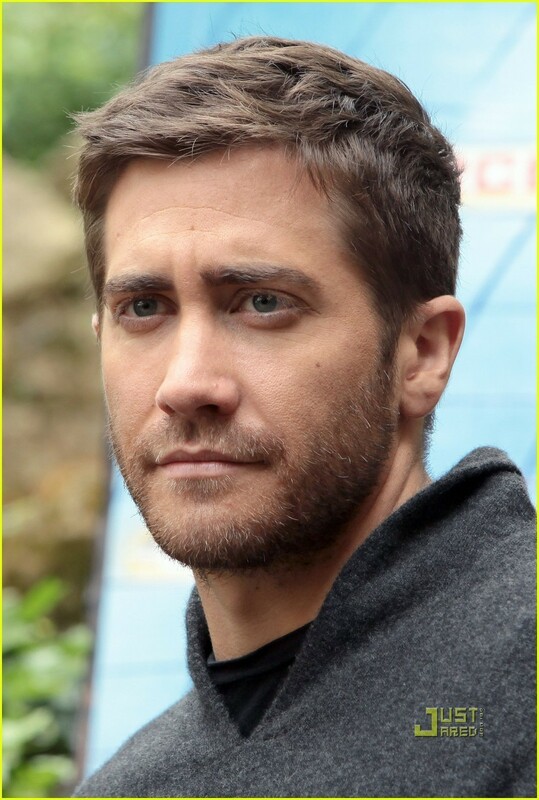 Jacob “Jake” Gyllenhaal (last name pronounced jill-en-hall) was born in Los Angeles, California, on December 19, 1980 to director Stephen Gyllenhaal and producer/screenwriter Naomi Foner and is the brother of actress Maggie Gyllenhaal, who played his sister in Donnie Darko (2001). His father is of partial Swedish heritage and his mother is of Ashkenazi Jewish heritage. Jake made his film debut at age eleven in City Slickers (1991) playing Billy Crystal’s son and began to establish himself as an up-and-coming actor in films like as October Sky (1999) before being cast in the title role in Donnie Darko (2001), for which he was nominated for an Independent Spirit Award for best actor. Gyllenhaal’s performance as a troubled psychotic won him excellent reviews, and the film quickly received cult status. He played opposite Jennifer Aniston in another Sundance favorite in The Good Girl (2002) and once again earned good reviews. 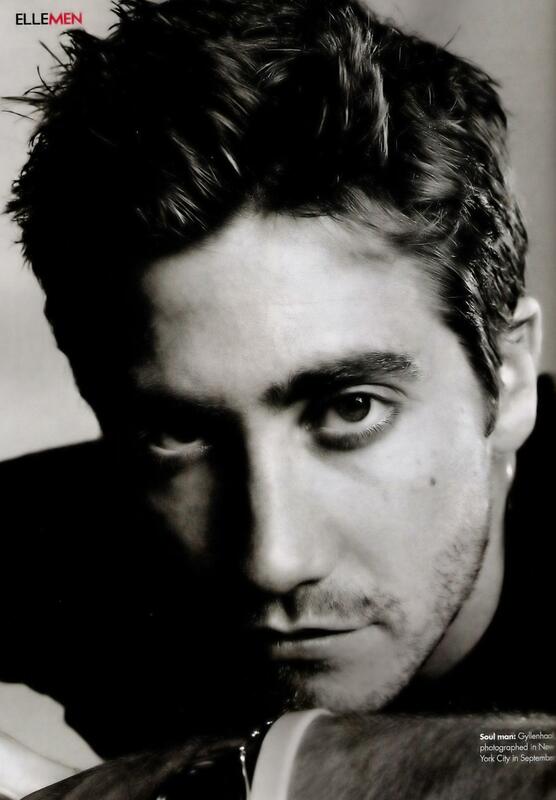 Gyllenhaal also starred in the Walt Disney romantic comedy, Bubble Boy (2001) and in the science fiction blockbuster The Day After Tomorrow (2004) which also starred Dennis Quaid. Making his theater debut, Gyllenhaal appeared on the London stage with a starring role in Kenneth Lonergan’s revival of “This Is Our Youth”. The play, which had been a critical sensation on Broadway, ran for eight weeks in London’s West End. Gyllenhaal’s performance in Jarhead (2005) with Jamie Foxx came as a surprise to critics and fans, alike. Gyllenhaal played a markedly hostile, masculinely violent Marine during Gulf War I, while balancing this with the sensitive, vulnerable qualities of the lead character. Brokeback Mountain (2005), in which he co-starred with Australian actor Heath Ledger as sheep herders who fall in love in the 1960s and depicts their relationship over the 1960s, 1970s and early 1980s. The film went on to win four Golden Globes, four BAFTA Awards and was nominated for a leading eight Academy Award nominations including Best Picture and Best Supporting Actor for Gyllenhaal was nominated for an Academy Award in the category of Best Supporting Actor for his performance in Brokeback Mountain (2005). Jake is also the godfather of Matilda Rose Ledger, daughter of actor Heath Ledger and Michelle Williams. Gyllenhaal’s most notable relationship has been with actress Kirsten Dunst. He is friends with Maroon 5 front-man Adam Levine, having known him since kindergarten. He is close with his sister’s boyfriend and Jarhead (2005) co-star, actor Peter Sarsgaard. Jake has two dogs: a German Shepherd named “Atticus” and a Puggle named “Boo Radley” after the characters of his favorite book, “To Kill A Mockingbird”. Gyllenhaal’s career is booming and he is considered one of the most promising actors of his generation. Son of director Stephen Gyllenhaal and screenwriter Naomi Foner. Younger brother of Maggie Gyllenhaal. His godmother is Jamie Lee Curtis and godfather is Paul Newman. Is of Swedish (noble) and Russian-Jewish descent. His fans refer to themselves as “Gyllenhaalics”. He was awarded the 2002 London Evening Standard Theate Award for Outstanding Newcomer for his performance in This is Our Youth at the Garrick Theatre in London, England. Was set to play Spiderman in Spider-Man 2 (2004) due to complications with Tobey Maguire. While he was preparing for the role, Maguire was back as Spiderman. Attended high school with “Freaks and Geeks” (1999) star Jason Segel and Ayda Field. Was named one of People Magazine’s 50 Hottest Bachelors . Is close friends with Natalie Portman and Bryce Dallas Howard. Went to elementary school with band members of Maroon 5. On Phantom Planet’s album “The Guest”, lead singer Alex Greenwald lists him in his thank yous. Alex appeared with Jake in Donnie Darko (2001). His favorite book is To Kill a Mockingbird, and he has two dogs, Atticus and Boo named after the novel’s main characters. Before success as an actor, he worked as a lifeguard. He never had any life-saving incidents, but did perform one lesser rescue. A swimmer had been stung on the leg by a jellyfish, and Gyllenhaal helped relieve the pain of the stings by urinating on the swimmer’s leg. When asked who his idols are he said Anthony Quinn, Paul Newman, Sean Penn, Bruce Springsteen and Bono. Spent two years at Columbia University, where one of his professors was Robert Thurman, Uma Thurman’s father. Was among the guests at Jessica Simpson’s 25th birthday party. Ranked #48 on Premiere’s 2006 “Power 50” list. It is his first appearance on the list. His first four big roles were in movies with alliterated titles: Bubble Boy (2001), Donnie Darko (2001), Moonlight Mile (2002), The Good Girl (2002). Is good friends with Lance Armstrong and Matthew McConaughey. Like all Gyllenhaals on the male line, he is a Swedish nobleman by birth right and is listed in the Swedish Almanac of Nobility (“Sveriges Ridderskaps och Adels Kalender” in Swedish). As of 2007, has starred in three movies where he played not only a real person, but the person who wrote the book upon which the film was based: Homer H. Hickam Jr. (October Sky (1999)), Anthony Swofford (Jarhead (2005)) and Robert Graysmith (Zodiac (2007/I)). Voted #10 in Elle (France) Magazine’s “15 Sexiest Men” poll (June 2007). He appeared in a 1994 episode of “Homicide: Life on the Street” (1993), that was directed by his father, Stephen Gyllenhaal. Was personally approved by Joe Namath to play the football legend in an upcoming biopic about the latter’s life. Was ranked #8 on Entertainment Weekly’s ’30 Under 30′ the actors list. (2008). Had a childhood crush on Martha Plimpton. He met her when she appeared in Running on Empty (1988), which was written by Jake’s mother Naomi Foner. Appeared on the cover of GQ magazine three times: June ’04, February ’07 and May ’10. Was, along with Matt Damon, the studio’s first choice for the role of Jake Sully in Avatar (2009), but director James Cameron chose to cast the (back then) more unknown Sam Worthington in the lead role instead. Received his first driving lesson from his godfather, Paul Newman. On the one role that got away: “I’d have to say Ewan McGregor’s part in Moulin Rouge! (2001). It was soooo close. I sang and everything. I went through months of auditions. It was between me, Heath Ledger and Ewan. I think it came down to age and where people were in their careers. I was the youngest and the least known. I would hope it didn’t have anything to do with talent. Maybe it did”. The truth is most of the films that make a lot of money no one remembers, and I’m not interested in making films that no one remembers. Some movies you fall a step behind and some you stay in the same place, make the same choices. And then sometimes there are people who know more than you but show you, and that’s the maximum you can hope for – doing that with someone who says, “I like you for what you are, and I want you to be in my picture.” I didn’t have to fake it or put on a mask – all the resources I had inside me were more than adequate. I don’t want to pretend to be something … I’m not pretending any more to fit somebody’s mold. That’s a long-winded statement but – why not do what you really think, even if it’s a mistake? “I fooled around with Heath Ledger and Michelle Williams got pregnant.” Interview about filming Brokeback Mountain (2005), 2006. We live in a sad time where actors are politicians & politicians are actors. [on why he dislikes films with obvious political messages]: It’s very important for me to be in movies that don’t have a message. Messages tend to be a little preachy, and I don’t think that’s what movies are about. It’s important for me to be in movies that have a human level, have a heart in them. That’s the reason why I did this (Rendition (2007)) and it just so happens to be really topical. This political issue is a very important one right now which, as Americans, we need to look at. So it seems like it’s (the film) is very political, it seems like there’s a message in it, but ultimately there’s a real story about human beings dealing with actual human things.